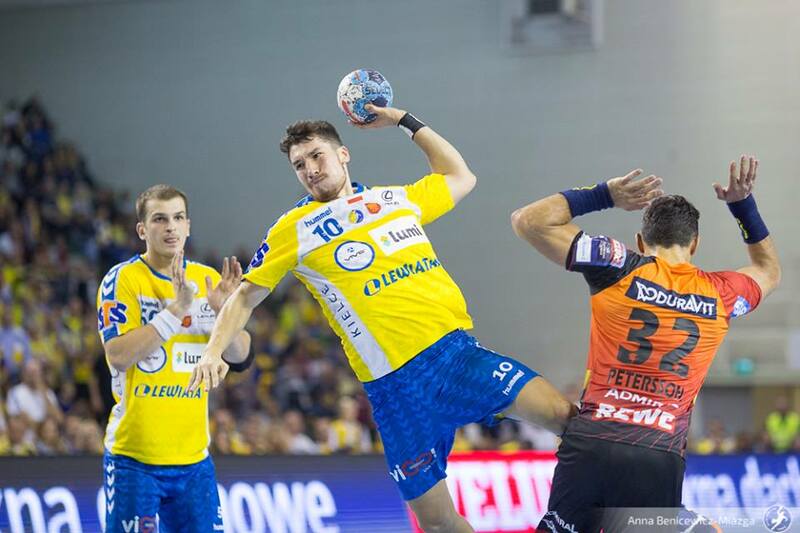 Home / News / EHF / ALEX DUJSHEBAEV’S NIGHT: PGE Vive Kielce win in Montpellier! ALEX DUJSHEBAEV’S NIGHT: PGE Vive Kielce win in Montpellier! PGE Vive Kielce will have important role at current season of the EHF Champions League according to last two performance of Talant Dujshebaev’s team. After spectacular turnover against Rhein Neckar Lowen in front of home fans, Polish champions took points in Montpellier against the reigning EHF CL winners. Outstanding 60 minutes had Alex Dujshebaev with 10 goals from 11 shots, but also his team-mate on the goal line Vladimir Cupara with 14 saves.